Fostering galloping solutions grounded in technical research. Lower voltage distribution systems and feeder lines experience conductor motion and galloping. 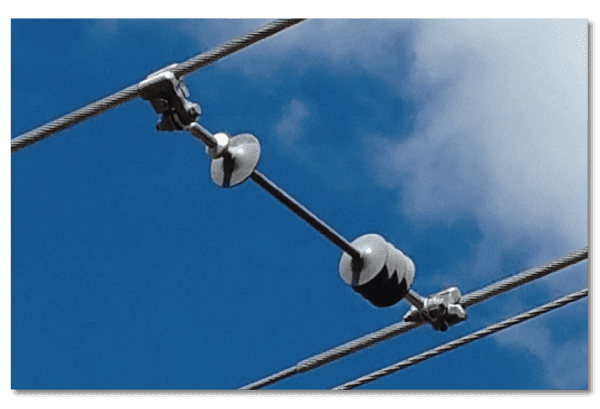 Lighter-weight conductors (outer diameters <1.0) and shorter spans need right-sized dampers in order to twist the conductor and arrest galloping. Underbuilds with very narrow clearances present unique challenges to controlling the galloping caused by ice foils/lift forces or flashover resulting from the ionized energy between conductors. Light weight and ultra-lightweight conductors and distribution lines where precise weight is required to set the twist. Using clusters of loose, galvanized iron washers this damper design control galloping of the smaller conductor, distribution systems, static lines, OPGW, or steel shield wires. Total weight is adjustable in 3 oz. increments. An anti-galloping spacer damper, this solution for distribution lines addresses the unique requirements of phase spacing, galloping and vibration control. 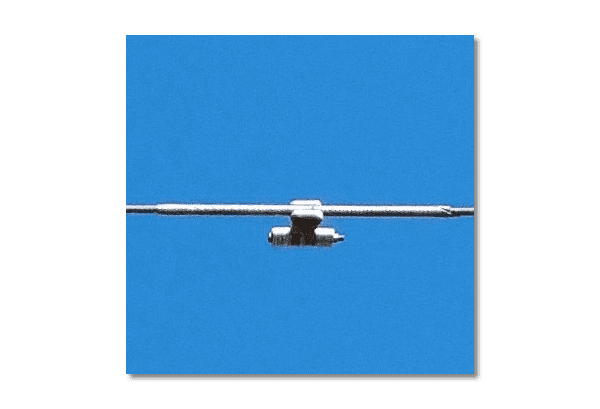 Used on underbuilds or distribution lines, the Spacer Twister can work alone or in concert with AR anti-galloping dampers for transmission lines. The AR Spacer Twister has two articulating clamps at each end of a polymer insulator. © 2019, AR Products, LLC. All Rights Reserved.